The UBC Okanagan Sustainability Office is responsible for the advancement of sustainability on campus to support its development as a vibrant, regenerative community. Within UBC Okanagan’s Campus Planning and Development department, the UBC Sustainability Office is responsible for the advancement of sustainability on campus to support its development as a vibrant, regenerative community. Guided by UBC’s mission, sustainability commitments and strategies, we aspire to build capacity and leadership practices across the campus to broaden the impact of sustainability. 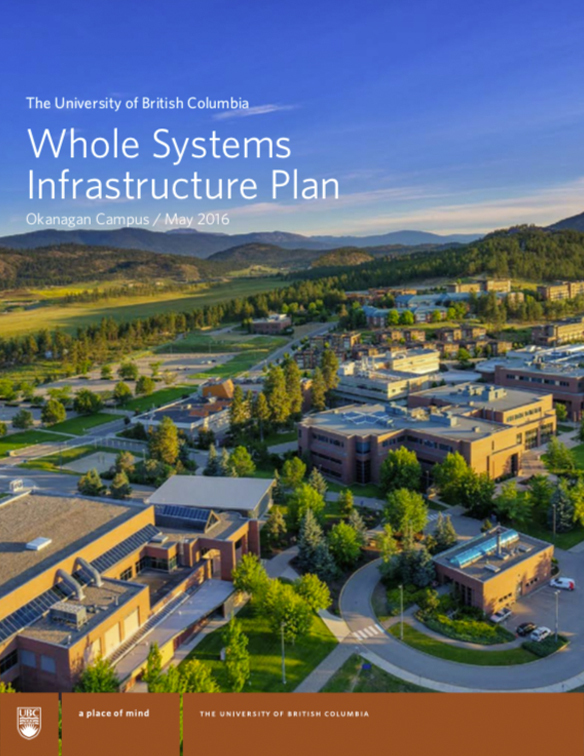 UBC Okanagan’s Whole Systems Infrastructure Plan provides a long-term roadmap, proposed performance metrics, and a five-year implementation plan, to guide future planning, investment and management in a manner that will support sustainable development, community wellbeing and ecological resilience. If you have questions, or would like to find out more about what UBC Okanagan is doing to make our campus and community more sustainable, we’d love to hear from you. Visit UBC Okanagan’s Sustainability Office website for more information.